In the wake of his masterpieces Nature Morte and Master and Margarita, Simon Nabatov comes up with another magnificent project based on the works of yet another Russian literary colossus Daniil Kharms. However, this time the ensemble is larger than the previous works by Simon Nabatov: Phil Minton, Frank Gratkowsky, Nils Wogram, Ernst Reijseger, Matt Penman, Michael Sarin and Cor Fuhler. The range of Nabatov's music is remarkable in mood as well as style. 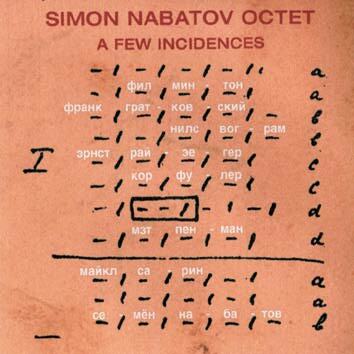 It is a daunting task to set the texts by Brodsky, Bulgakov or Kharms to music, but such is the depth of Nabatov's music that he comes out of it with flying colours.